The Defence Headquarters, DHQ, on Friday disclosed the burial date for former Chief of Defence Staff, Air Chief Marshal Alex Badeh, rtd. 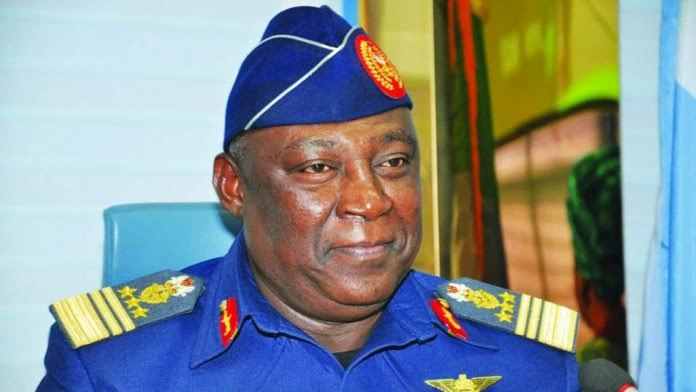 In a statement signed by the Acting Director of Defence Information, Brigadier General John Agim, interment of Badeh will commence on Sunday with the Service of Songs scheduled to hold at the Nigerian Air Force Base Protestant Church in Abuja. Agim also disclosed that the service of song would be followed by a church service expected to hold at the same venue on Wednesday next week after which he would be laid to rest later in the afternoon at the National Military Cemetery in Abuja. (1 Date: Wednesday 23 January 2019. (3) Venue: Nigerian Airforce Base, Protestant Church, Bill Clinton Drive Airport Road Abuja. 2. In view of the above, you are please requested to detail your crew to cover the event and disseminate this information to the general public through your credible medium. Thank you for your usual support and cooperation.